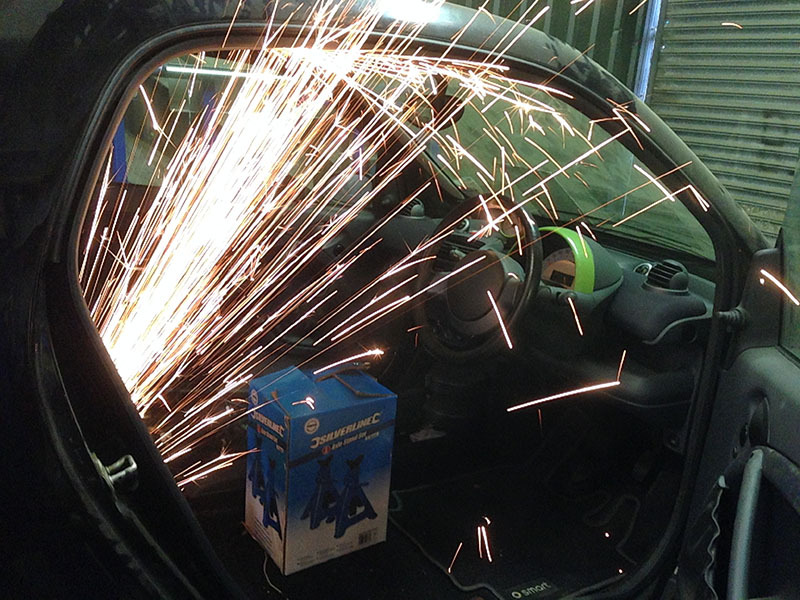 I was a frequent member of another Smart Car forum but due to technical difficulties i'll now be continuing the build here. I'll add timestamps against each post so you can see what progress has been made over a given time period. It's been a long time since my last update, life has been busy with many up's and down's and sacrifices had to be made in the form of time. Time is very precious and I'm happy that I now have surplus to continue this amazing project. Rather than saying I'm going to re-start the project and get followers excited, I just continued where I left off with a few major changes. A few months have passed and progress has gained some amazing ground, there has been some huge changes and many lessons learnt. Firstly we've moved the project location. Myself and my dad were cramped for space so we've moved to a small unit which we rent locally, this has made a huge improvement in itself as we now have space to work and store parts. Our equipment has changed. 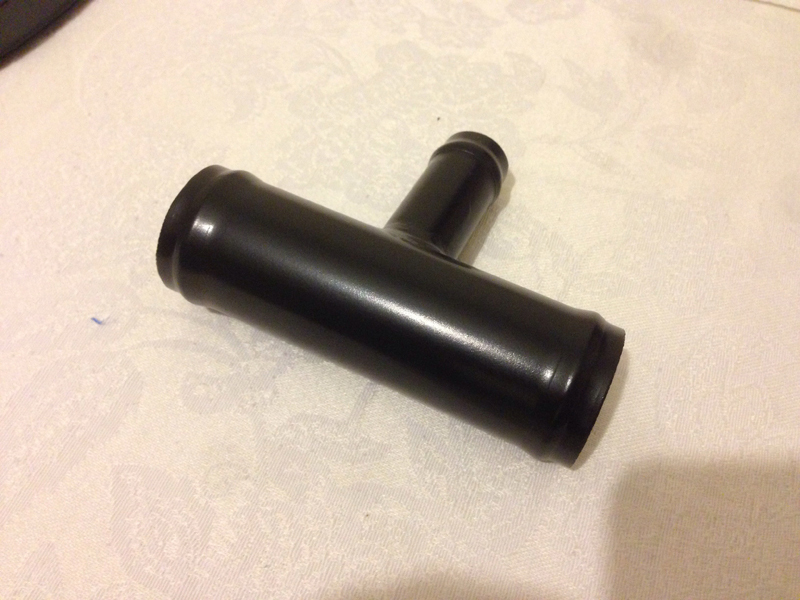 We had long lead times for parts to be laser cut, machined and modified and it was slowing us down. We took a leap of faith and purchased a fantastic CNC machine for all our custom parts, it has paid for itself in worth already. 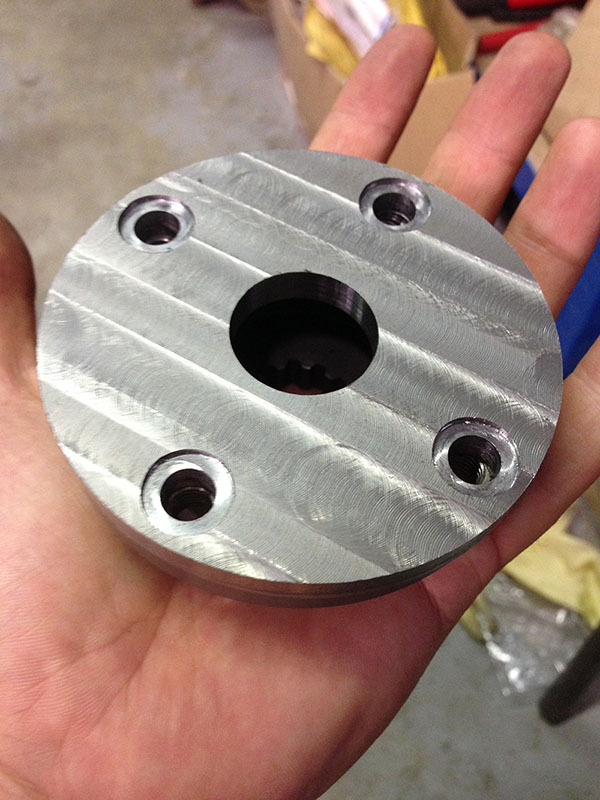 We now draw then start machining in around 20-30 minutes and the results are astounding. Here is where I should start filling up the thread with many many photos but let me answer a few questions that I feel may come up. Will you be making kits available? Maybe, my dad is close to retiring age and would love to. Nothing would make him happier than somewhere to work/play on projects like this. I have drawings and versions for every part ever made for this project and an inventory of parts required. I think what's most important now is to finish this project and then think about it, I don't want to make mistakes like a commonly hear from other companies producing similar kits. 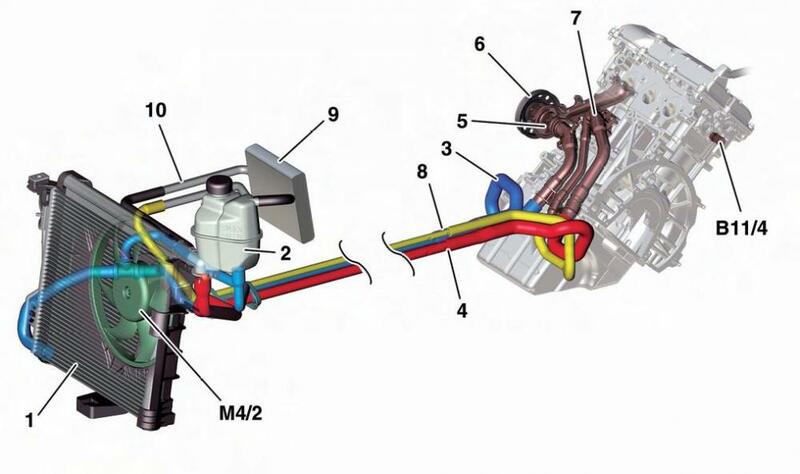 Where is the engine located? In the back where it's supposed to. It's not hard to Google other kits and conversions, this project isn't a first but we've done things right. We wanted to retained both seats. Do you need to modify the chassis? Yes, in order for this project to feel purposeful it needed to abide by a few person rules. Things like independent rear suspension, equal length driveshafts and many many adjustable parts with a standard look meant the chassis needs to be modified slightly in the form of cutting the engine bay so the engine fits, it's not a lot. I could of quite easily built a subframe to work around the original chassis and finished by now but handling and ride wouldn't of been be amazing. I'm not building an outright track weapon but it can be, think of it as a mix of 'fast road and track'. What vehicle are the parts from? A mix, we wanted parts easily obtainable as we could of made them all with the equipment available but that incurs a great cost and not what this project is about. So far the parts are from/meant for. This may change but how things are staying at the moment. So before I post any more pictures I should probably show at what stage the project is currently at. After a bit of cutting/trimming. We test fitted the frame. Note: This is probably the 4th or 5th complete frame that's been created, the rest never made the cut. 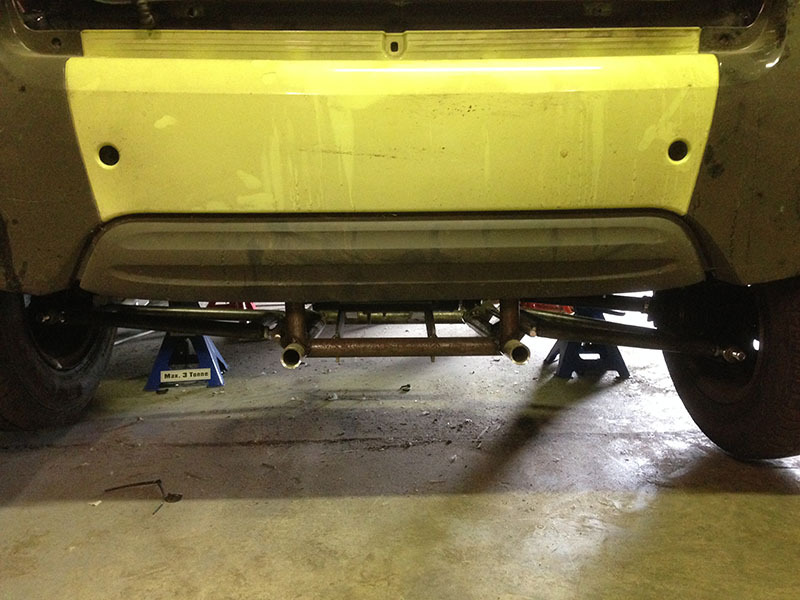 Bumper on to see what will be left on show, the exhaust will hide all this. Finally.. something that has been on my mind for a while. Custom front hubs with the same PCD as the rear setup, retaining the ABS rings, offset but with slightly larger bearings. As well as the evil looking cutter which may be cutting them out of a stainless steel billet. I've ordered aluminum which I've done a simulated stress test but I need to see how they come out before I decide. 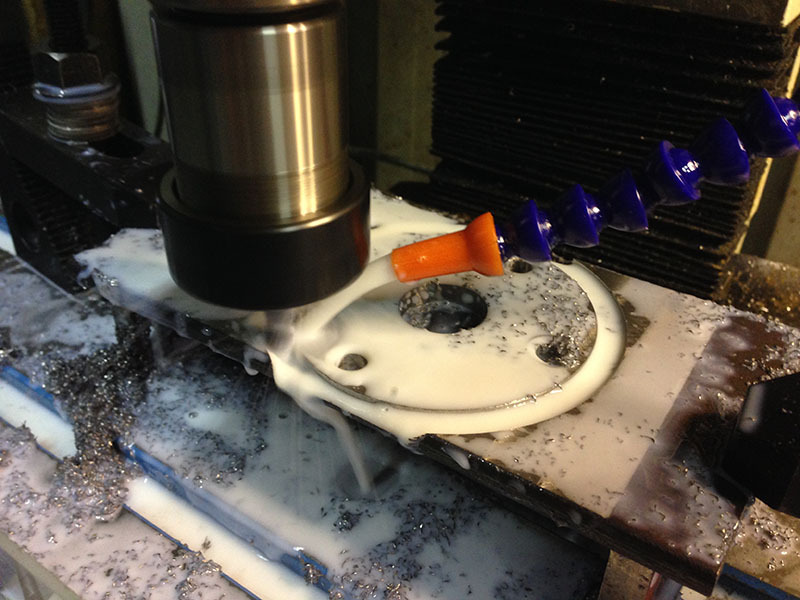 Just a small update today, I CNC'd out a new drive adapter for the jackshaft. Not sure if i'm welding the sprocket on to the shaft that mounts to this are make it with a spline. A few updates from the weekend. I've managed to fit the new twin core radiator with some custom mounts I machined up. 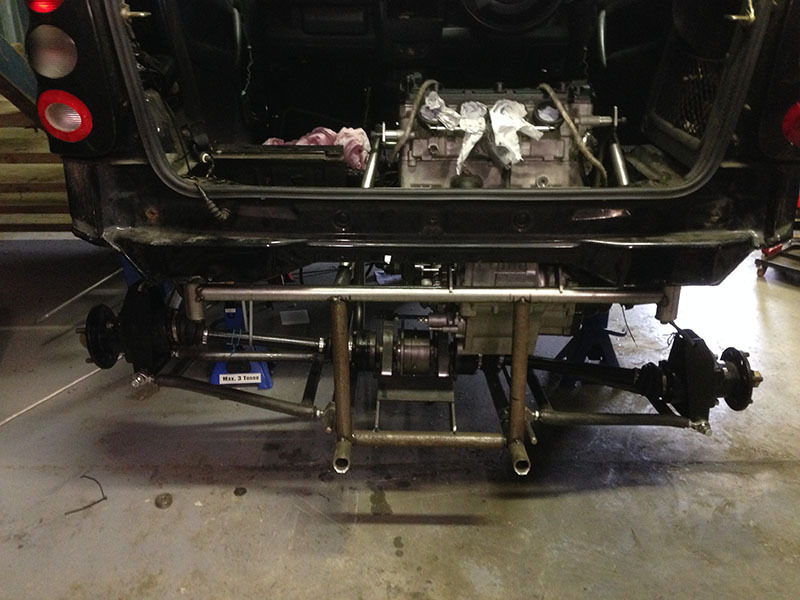 Upper suspension arms are finished and some additional bracing was added to the subframe. The week before I managed to weld the jackshaft together which my fiancee promptly used as a door stop . I've ordered some misc supplies such as caphead bolts, washers etc to replace the randomly sized stuff currently being used. Once they're all bolted in I can then measure for coilovers and get it off the jack stands! Not many updates with regards to pictures but I've now started cutting and fitting the radiator hoses, while doing so I thought i'd use the original expansion tank, while putting a hose on I snapped one of the outlets off! Looking at the other outlets they looked quite brittle and past it so i've ordered another. I also managed to get the ride height about right to measure for coilovers, these are now ordered (Gaz), I even trainer tested (Mighty Car Mods style) to ensure it was about right. The exhaust was started on too, I have an original Hayabusa Exhaust and one from a Hayabusa powered Mini just to get an idea of the exit route. The original ended up being cut up so i've ordered exhaust sized tube and a 4 in to 1 collector to finish it. I might not going to use it long term but it'll get the project going, I'll probably end up getting it made in stainless by a 3rd party if need be. As for rear calipers i've been looking in to using original Sierra's or some Wilwood Powerlites. I've read mixed reviews about the Powerlites and the Sierra's seem the better option, this might not be a long term choice but again it'll mean the car is that bit closer to finishing. This weekend I should be able to get the rest of the baffles fitting to the clutch (sump is already done) and fit the rest of the clutch back together. I've also taken a look in to the water pump and decided to junk the original and fit a electronic pump and controller. I've had parts arriving most of this week to finish up the cooling and exhaust, including the replacement header tank I broke! As you can also see a 4 in to 1 collector has arrived! I've modified the original exhaust manifold and have the tube to bring the manifold in to the collector, I then have 2.5" running from the collector to the can. I believe there is enough room to run it out the back easily, the oil cooler isn't far from the route but this should be fine. I contacted a Hayabusa specialist about running an electric water pump, rather than blocking off the existing mechanical water pump its easier to just remove the shaft, themostat and use the existing inlets and outlets. 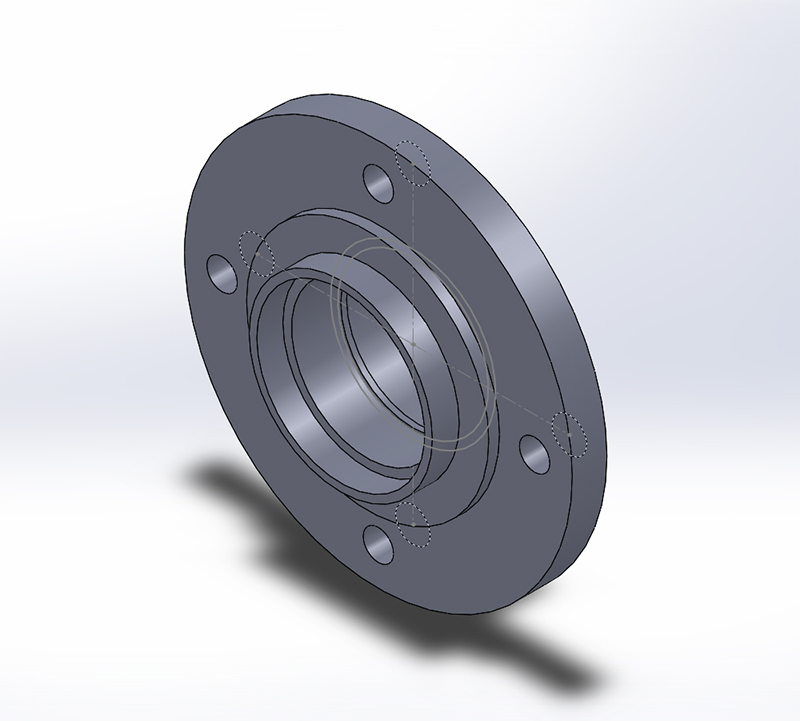 Finally, I need to cut the splines out of a motorbike sprocket, I was advised not to use the CNC machine for this as its simply too hard to mill hardened steel. 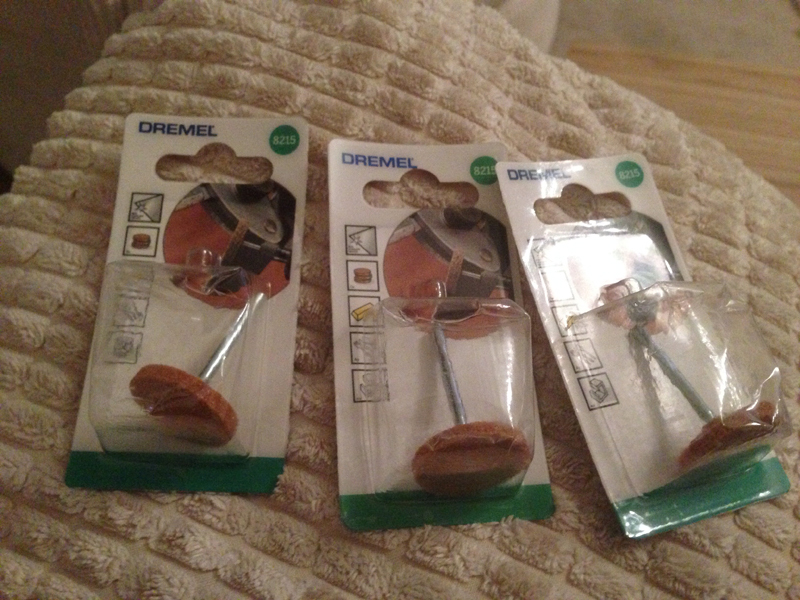 Instead I will grind it out using these, a much more cost effective way! I think thats for all, more updates and pictures during the weekend. Hardened steel is very hard. 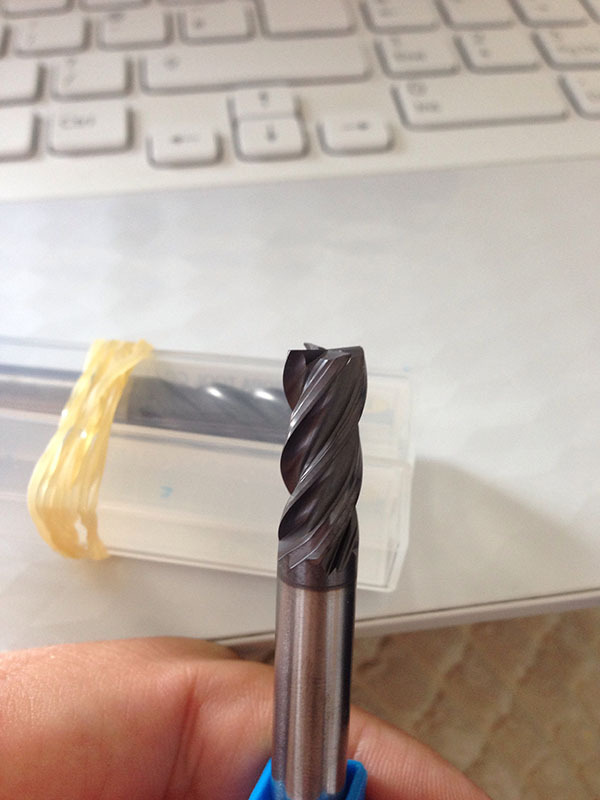 I mounted up the Dremel grinding stone in the CNC machine and started grinding by hand.. This was taking some time so I had to devise a way of holding constant pressure on the tool. The grinding stones were doing a great job but the shafts were too small and heat was building up and snapping them right at the base. After 4 stones and around 2 hours this was the final result. As you can see I'm about half way through so i've ordered 6 more and a slightly different design with a thicker shaft. If I ever need to change the gearing on the back i'll be changing the aluminium split sprockets as it'll be a lot easier! The exhaust work come on very well and all 4 manifold tubes are almost in the collector, I've ordered 2.5" mandrel bends and a flexi join to allow some movement once the exhaust is mounted. The harder springs have also arrived, this will prevent the possibility of the clutch slipping due to the extra weight of the car. The aluminium adapter prevents clutch 'chatter' which is common on this engine (see the following video for installation https://www.youtube.com/watch?featur...BSvSS9Lc#t=110). This weekend I should have the exhaust finished and hopefully a sprocket with no splines! A great weekend for progress, I finally managed to grind through the hardened steel sprocket and got it mounted on to the jack shaft. This is how it looks mounted up ready to be aligned with the rear differential and sprocket. As you can see I need to mount the bearing and shorten the clutch slave cylinder, this is the reason I went after market with the clutch as I can shorten the legs and pin to make it sit closer to the gearbox (I'll also clear the water pump). The cooling up front is all done, I need one more T-Bolt clamp for the top right bend in the following picture (check out the crazy 360 setup to get it to fit!). I ended up taking more of the front-end apart to get decent access. As mentioned before I've used the original header tank and the two long coolant tubes that run the entire length of the car to the back. I'll just need some reducers etc to fit with the Hayabusa engine. Here is the original cooling setup which I've followed. Finally, I had some time to create a flange to mount the standard Hayabusa exhaust can (I have a couple laying about) to the exhaust setup. The mandrel bends I ordered weren't tight enough so hopefully the new ones I ordered will be here by the weekend. I've chased Burton Power/Gaz to see how long the coilovers are going to take (at the earliest it'll be the end of this month) so the car can finally get off the axle stands. I'll then take a look at getting the engine work done (oil, new plugs, clutch back together, water pump) and take a look at the gear shift mechanism. The end result will be to use one of the many paddle shift systems that are about (clutch less up and down shifts with auto-blip) but I want a manual setup as a fail-safe. Huge update, I've not posted progress on the forum for a couple of weeks for a very good reason. I'm happy to announce after a long time the car is finally off the stands! So let me explain how all this happened. When mixing and matching parts from production cars and kit cars sometimes small steps need to be made to 'standardise' some of the parts. First up was tapping the rear uprights to match the size of the rose joints. The coilovers finally arrived and the springs were promptly fitted, note.. I ordered the wrong size springs first time round so I had to grab some replacements on the quick! I designed and CNC'd out some new brackets to mount the coilovers to the top of subframe, I'm mounting the bottom on the rear uprights. Space is quite tight on the right where the engine is mostly sitting and this was the most 'comfortable' place to have them. The exhaust is proving a little difficult, again due to space constraints at the front of the subframe but this is basically the setup i'm going with. 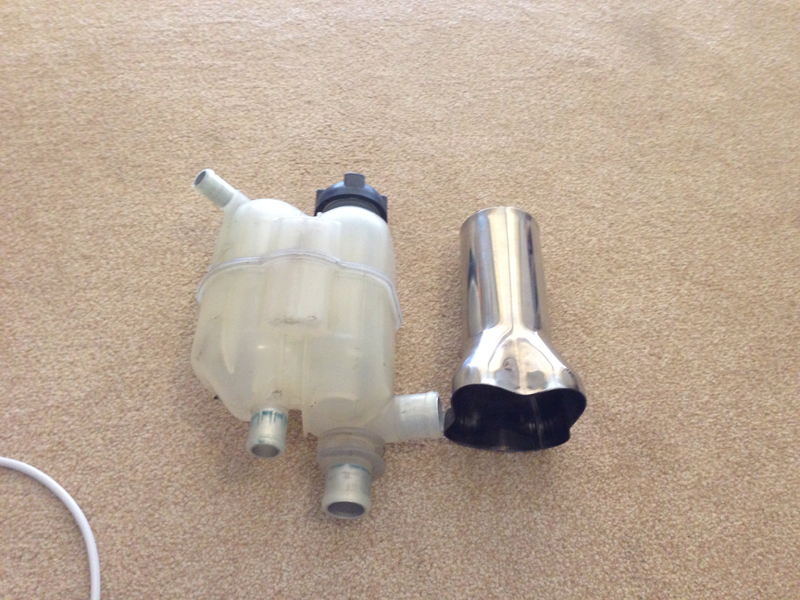 From the above you can see the sport cat that needs to be added to the system, after a bit of research on various kit car forums this setup should get it through the emissions test without any issues. I've got flanges for both the cat and a straight through piece, for the track obviously . Rear brakes are now all on and together, the first set of discs were too small (ordered in excitement). The replacements arrived just in time for test fitting with the new rear calipers. They're almost the same size as the standard fronts! I'm now in quite a predicament where I need to get new front hubs made but I don't really want to purchase the equipment and tooling. This is so I can run bigger ford wheels on the front like the back, that will also mean I can run bigger brakes (something like 300mm would be great). I had time last week to create a chain tensioner from a sprocket, as its only keeping the chain tensioned so I decided to use non-hardened after the hassle I got cutting through hardened steel before! I've pressed a bearing in to the sprocket so I can bolt it to the subframe nice and easy, replacement's and maintenance will be a breeze. So the final pictures will be what I've been working towards for a long time, the car off the stands and on the ground. 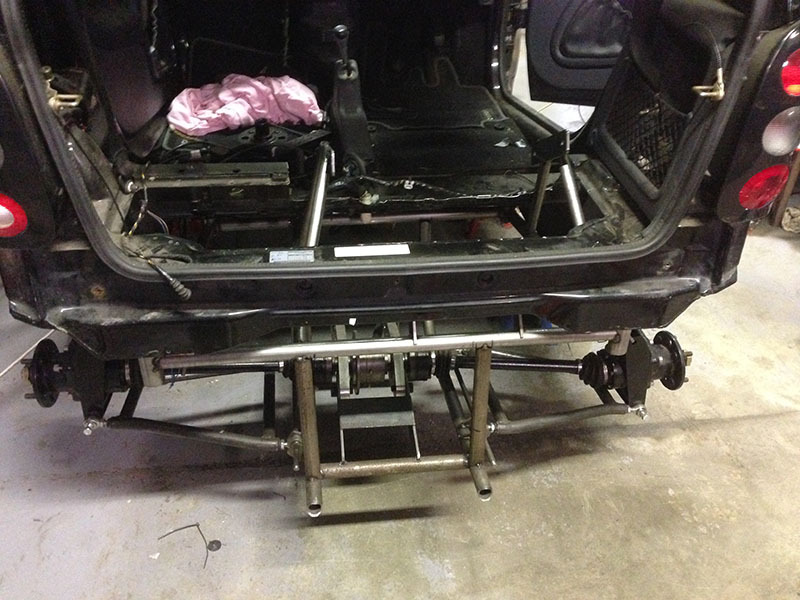 Most of the subframe is only tacked together but all the suspension is welded properly.